The IAQ index is a measurement for the quality of air. To calculate the IAQ index the Bricklet detects ethane, isoprene (2-methylbuta-1,3-diene), ethanol, acetone and carbon monoxide (often called VOC, volatile organic components) by adsorption. These gas measurements are combined with the measurements of air pressure, humidity and temperature to calculate the final IAQ index. Typical applications for this Bricklet are the monitoring of air quality, environmental statistics, home automation and similar. The Air Quality Bricklet has a 7 pole Bricklet connector and is connected to a Brick with a 7p-10p Bricklet cable. Calibration of the temperature value is recommended, since the temperature value is used to compensate the IAQ index and humidity values. The currently released firmware (2.0.4) does not save the calibration every 12 hours. We had to disable this because of a bug in the proprietary load/save mechanism that we can't fix. We will release a new firmware that has this enabled again as soon as this bug is fixed. 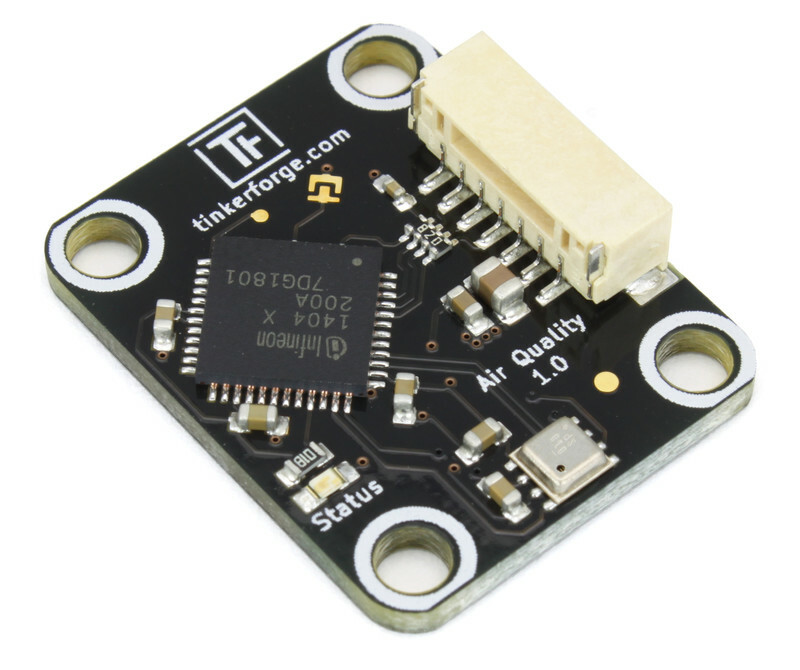 The Bricklet is building a database of measurements and uses this data to do an automatic background calibration and calculate an accurate IAQ index over time. It will take a few days until the IAQ index has a high reliability. The IAQ accuracy is reflects the current state of the background calibration process. Accuracy 0: The Bricklet was just started and the sensor is stabilizing. Accuracy 1: The background history is uncertain. 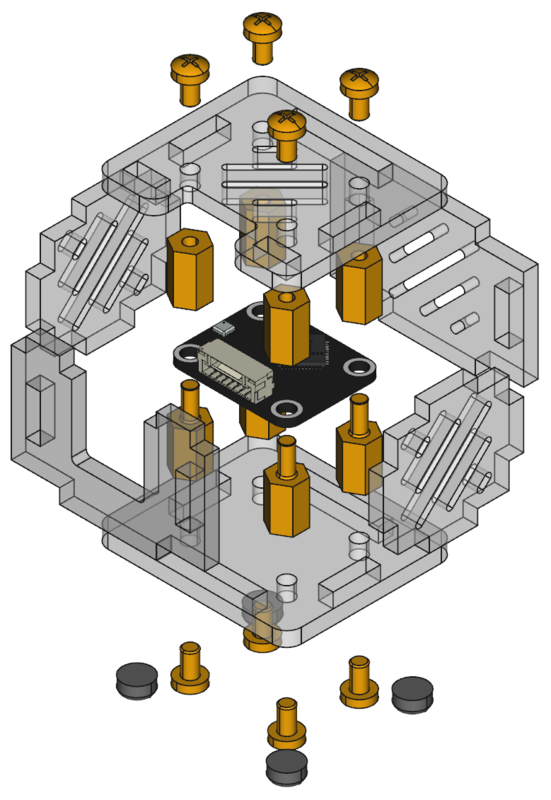 This typically means the gas sensor data was too stable for the calibration algorithm to clearly define its references. Accuracy 2: The Bricklet found new calibration data and is currently calibrating. Accuracy 3: The Bricklets is calibrated successfully. The effective duration of the calibration process depends on the stimuli observed by the sensor. 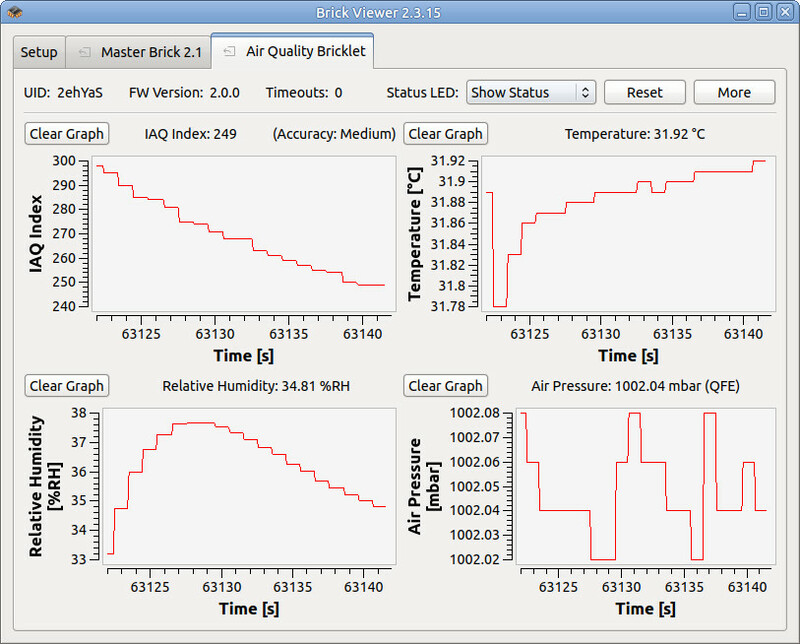 An IAQ accuracy going back and fourth between 2 and 3 is expected, the Bricklet is recalibrating itself. 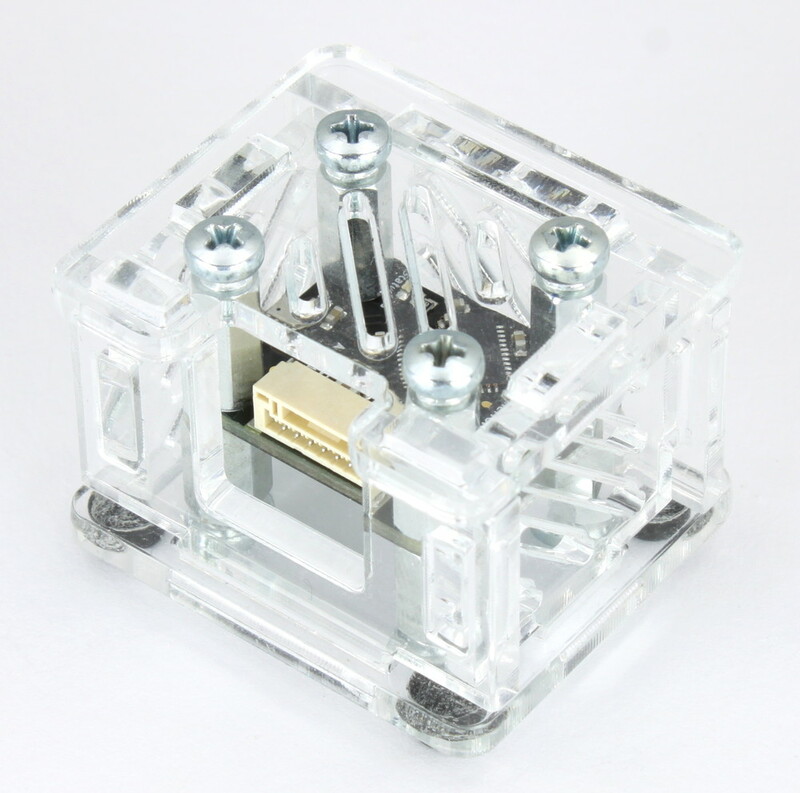 The Bricklet saves the current database of values and calculated coefficients every 12 hours in its internal flash memory. If the Bricklet loses power it will not take as long to receive reliable data again. Starting with firmware version 2.0.3 the automatic background calibration considers 28 days of data. We recommend that you run the Bricklet for 28 full days before you consider the data as completely reliable. It is possible to reduce the calibration window to 4 days with the API. To test a Air Quality Bricklet you need to have Brick Daemon and Brick Viewer installed. Brick Daemon acts as a proxy between the USB interface of the Bricks and the API bindings. Brick Viewer connects to Brick Daemon. It helps to figure out basic information about the connected Bricks and Bricklets and allows to test them. Connect the Air Quality Bricklet to a Brick with a Bricklet Cable. If you connect the Brick to the PC over USB, you should see a new tab named "Air Quality Bricklet" in the Brick Viewer after a moment. Select this tab. If everything went as expected you can now see the values for IAQ index, air pressure, humidity and temperature. After this test you can go on with writing your own application. 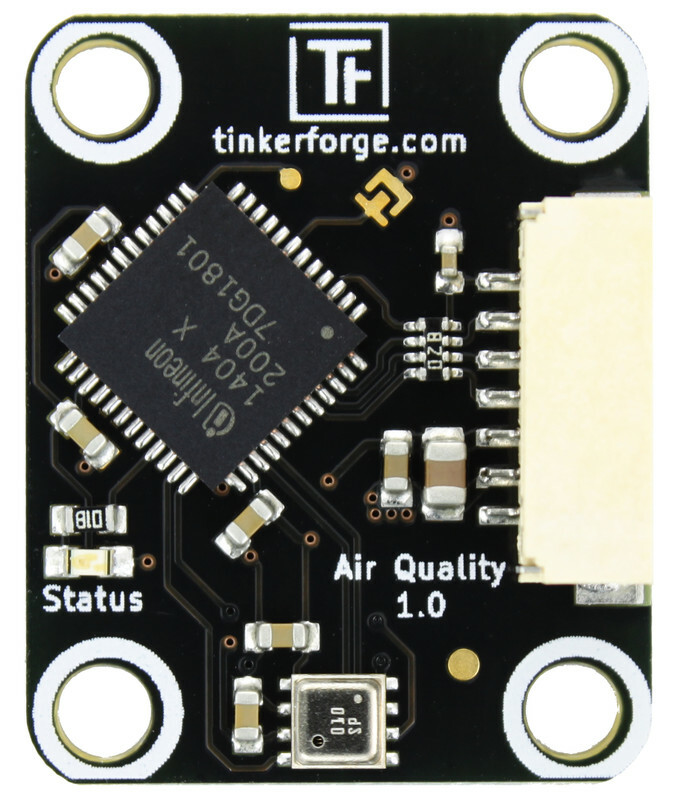 See the Programming Interface section for the API of the Air Quality Bricklet and examples in different programming languages. 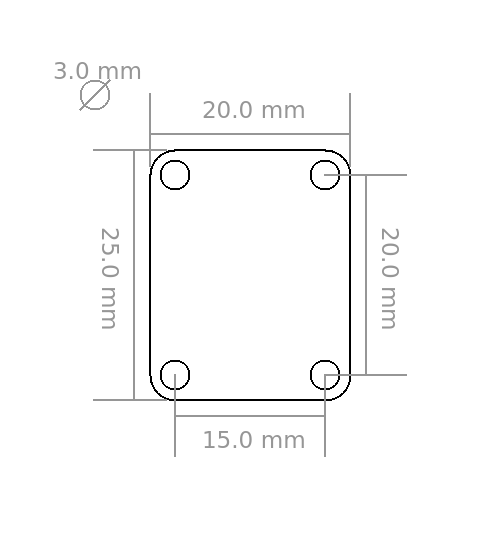 A laser-cut case for the Air Quality Bricklet is available.